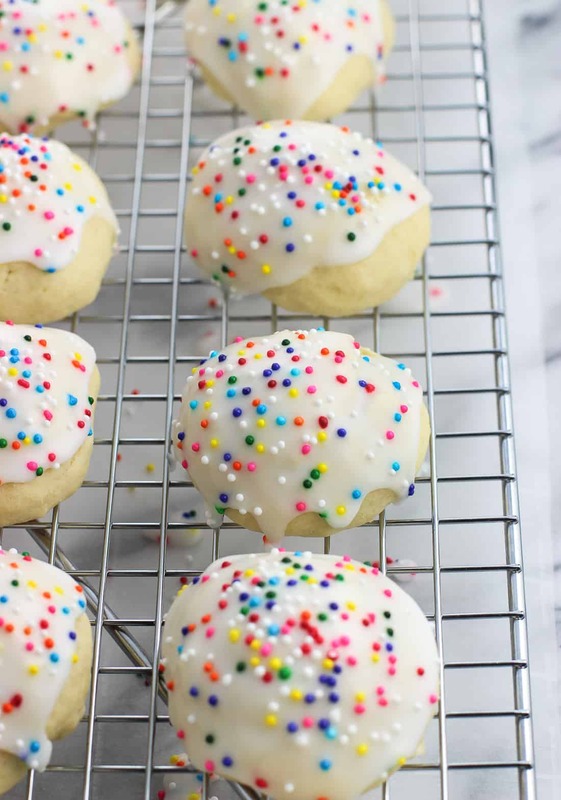 These classic Italian anise cookies are tender, easy, and covered in a glaze with sprinkles. Enjoy these cookies as part of a holiday cookie tray or year-round! 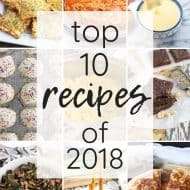 So much of what I love about the holiday season is tied to food (because, obviously), and family favorite recipes dominate my holiday menu each year. Can you relate to that? I try out a few new cookies or side dishes or whatnot each year, but by and large it wouldn’t be Christmas, let’s say, without baked clam dip and struffoli and Panettone french toast. Besides struffoli, one of the Italian recipes my mom has made every year since before I can even remember are Italian anise cookies. These tender, licorice-flavored cookies are topped with glaze and festive sprinkles to add a special touch to any holiday cookie tray. 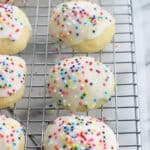 I know the licorice flavor can be polarizing like cilantro, but for those who don’t mind or like it – these Italian anise cookies will be just your speed. In our family recipe we always use anise, though I know others use vanilla, almond, or citrus extracts in place of it. The quantities of anise extract as written in the recipe card below (in my opinion) are just enough – you can certainly taste it, but it’s not in-your-face and overpowering. When it comes to the flour, you’ll notice I mention to start with three cups. Once all of the cookie ingredients are mixed together, poke the dough and see how it is. Likely it’ll be pretty sticky, so work in additional flour one tablespoon at a time until the stickiness has reduced. You’ll want the dough to be able to roll between your hands with very minimal sticking. I added an extra 1/4-cup during this process, but you may need more or less depending on how your dough is behaving. Oh! And something else about the flour. My procedure for measuring flour is to first stir/whisk the flour in its canister to fluff it up. Then I spoon it into my measuring cup, taking care not to pack it down. Once the measuring cup is overflowing, I use the straight edge of my spoon to level off the measuring cup. I’ll do that step over top of the flour canister so the excess goes right back in. This way of measuring prevents extra flour from being added to the recipe, which can cause baked goods to be dry. It’s the way I measure flour for all my recipes. MAKE-AHEAD TIP: These Italian anise cookies can be made several days ahead of time. If doing so, I suggest baking the cookies and then NOT glazing them until the day you would like to serve them. 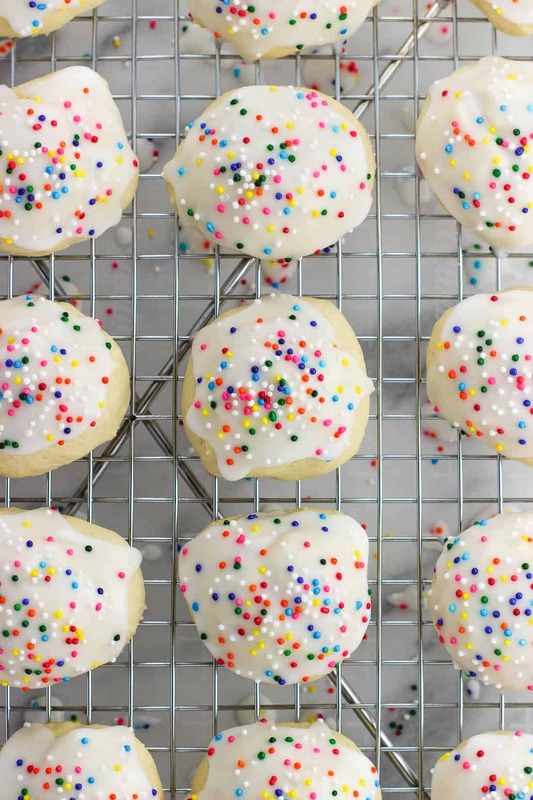 Reason being is that the next day and the days beyond, the colors of the rainbow nonpareils bleed onto the white glaze and don’t look quite as picture perfect as they day they were glazed and decorated. Of course if you don’t really care about that feel free to glaze ’em up right away, or you can omit the sprinkles or use white nonpareils instead. Cream butter and sugar together in a large mixing bowl for a few minutes until smooth and creamy. Add the eggs and beat well using a hand or stand mixer, until the mixture is light and looks frothy. Add milk, anise extract, and vanilla extract and mix until combined. Add 3 cups of flour and baking powder to a separate bowl and whisk until evenly combined. In 2-3 increments, add flour mixture to the bowl with the wet ingredients, mixing in until just combined. Add additional flour as needed, 1 tbsp at a time, until you can roll a cookie's worth of dough between your palms with minimal sticking. I added 1/4 cup (4 tbsp) during this time, bringing the total flour used to 3 1/4 cup. The amount of flour you need may vary. Using a 1 1/2-tbsp cookie scoop, scoop balls of dough and roll between your palms to form spheres. Some of the dough will stick inside the scoop but that's okay. 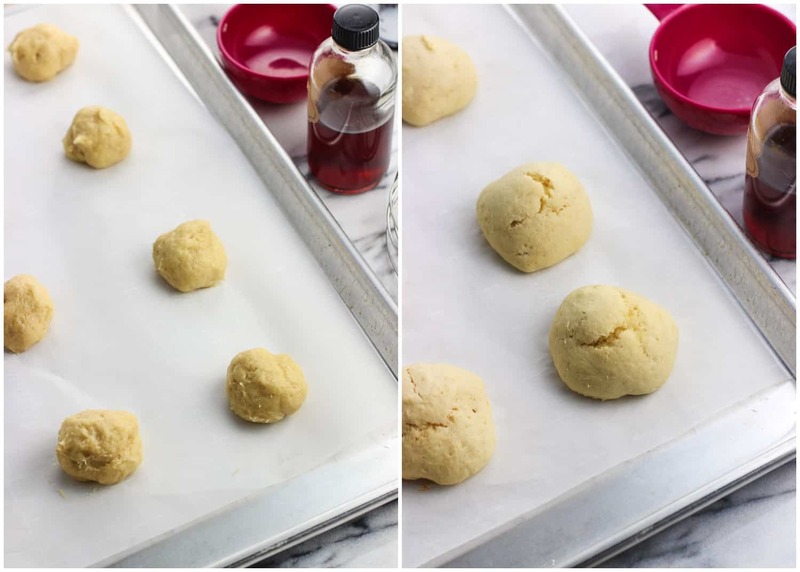 Place dough balls equally-spaced on the baking sheets, leaving about 1 1/2 inches between one another. Bake for 10-12 minutes, or until cookies are very lightly brown on the bottom. Transfer to a rack to cool completely. 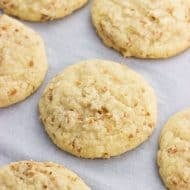 Once cookies have cooled completely, whisk together 2 cups confectioners' sugar, 3 tbsp water, and 1/4 tsp anise extract. 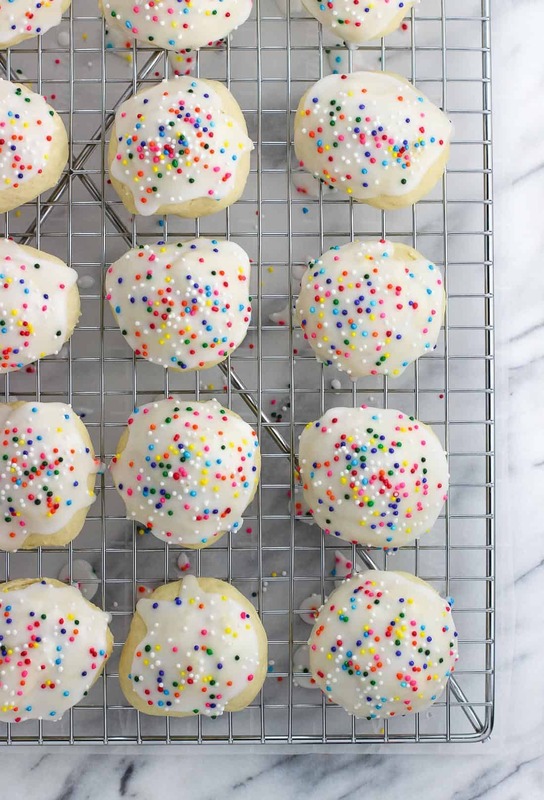 Dip the tops of each anise cookie into the glaze, and then sprinkle nonpareils over top. Let glaze harden completely before storing. I’m using the anise liquor substituting for the extract. It seems no matter how much liquor I put in I can’t taste the annisette. 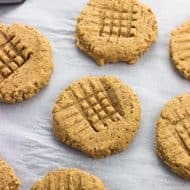 The cookie itself is great, but how can I get a stronger flavor using the liquor? I put six tablespoons in the last batch and two tablespoons in the glaze..still lacked flavor. Hi Susan, hmm I haven’t used anise liquor in place of the extract before, so I’m not exactly sure why the flavor isn’t strong. I would think the quantities you’ve used would do the trick. I’m sorry I’m not much help! Hi Sandra, you can use lemon by itself or along with the anise. The flavors would work well together, though you may have to play around with the amounts so the flavors don’t overpower. What time of year would stores have these cookies? I love ❤️ them but am thinking I would end up eating them all since my husband is not a fan. I ALWAYS buy them when I see them in the store but it is usually hit or miss. Hi Karen, I know what you mean! I’m thinking you might be able to find them again in stores around Easter time, so I’d look around April. Hopefully that does the trick! Why after a few days do mine get so dry? Hi Kathy, how are you storing them? Once completely cooled and the glaze hardened, I keep them in an air-tight container or sealable plastic bag with parchment paper between the layers to prevent the glaze from becoming messed up. I haven’t experienced any drying that way. I hope that is helpful! Hi Linda, yup! If they haven’t been glazed yet they can go back in until cooked through. These were so easy & delicious! They impressed my Italian friend whose mother always made these. It was a hard act to follow but they were perfect! Hi Nicole, I’m sorry you had some trouble with these. Anise extract has a bold presence, so using vanilla for all of the extract could have thrown off the balance of flavors. I’ve never made them without the anise but that would be my guess. Could you improvise with the glaze? It’s sweet, but perhaps add an extract or another flavor to it to counteract the bitterness? There’s always a melted chocolate dip or drizzle – a method I use to bump up flavor/sweetness on a baked good. I hope that is helpful! Yum! Glad you like it, Ron! I’ve gotten so many compliments about these cookies! They’re a hit. My hubs said they’re better than the store bought ones! Woohoo! Love hearing that. So glad you like them, Jori! Hi Pam, I haven’t made them any way other than rolling them into balls so I’m not sure. I’d be afraid the consistency of the cookie part would be off. Can almond milk be used? Can’t wait to try these–my italian grandmother used to make these. They were a Christmas staple in her house. I love them!! I just made these cookies today. They are AMAZING! 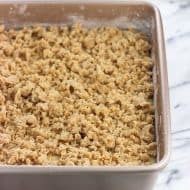 The best recipe and also the most like my grandmothers I have ever had. I ate half the batch by myself and will be baking more later this week. I thank you. My waistline, however, doesn’t thank you. I love making these for cookie trays! Plus we have this tradition in Pittsburgh called cookie table for weddings. These would be perfect on a cookie table! went to a wedding and she had each couple bring one batch of homemade cookies with the recipe and a note from them. She put them on a table and as the guests were leaving, they could fill up a Chinese to go box with cookies. Everyone loved the idea!!! These cookies look almost too good to eat. I need to make these soon! These are such cute little cookies with the sprinkles! 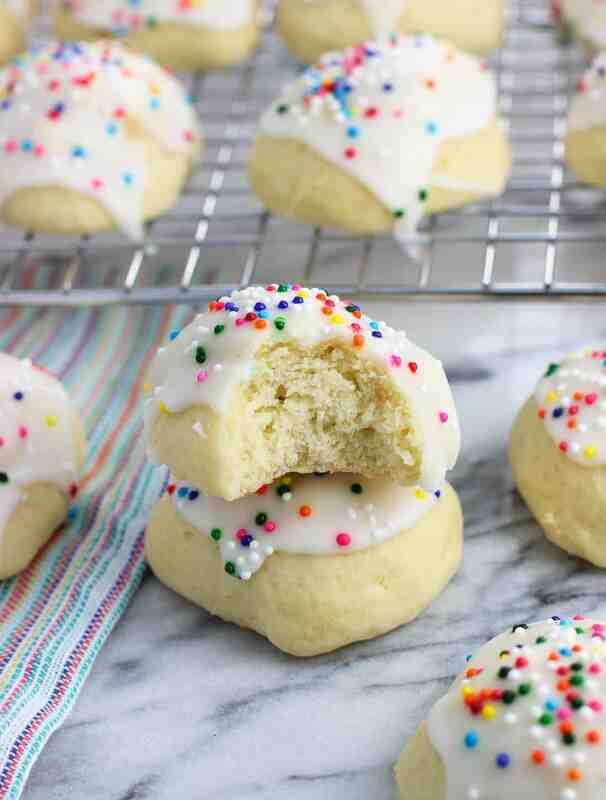 I actually just tried Italian anise cookies this past Christmas and fell in love! It’s such a unique, distinctive flavor! Thanks for sharing your recipe so I can make these at home! A very delicious and easy version of this cookie. I made them for Christmas. Thank you. These sound delicious. I have anise seed that I sometimes grind to a powder using my mortar and pestle, but I’ve never seen anise extract. Where do you find it? Anise flavorings are found In the flavorings/spices section of your local grocery. The bottles are under “McCormick” brand next to Peppermint, Cherry, Vanilla, etc.